A new year is just around the corner, and so is the opportunity to become a Watershed Brand Ambassador! The full list of Team Watershed duties are below (spoiler alert – they’re easy and you’ll love them) – but the most important things to remember are 1) You LOVE Watershed and our products 2) You LOVE people and are willing to share your Watershed feels 3) You have a public Instagram account. We’re on the look out for all kinds of Team members – not just whitewater athletes! Think: photographer, cliff diver, backpacker, climber, all-around fun haver. If you have what it takes, apply below and we’ll be in touch! Apply here to be a Watershed Brand Ambassador for 2018! 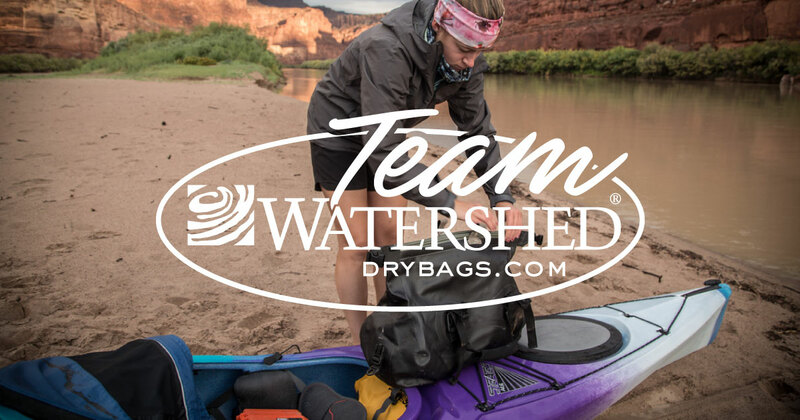 Receive 4 Watershed Drybags and use them on your adventures! Hey Seth! Have you filled in an application? We’d love to read all about you! Thanks for asking! Is there a way you could check to see if it sent? Thanks! Hi Jeremy! We got it! We will announce the team next week 🙂 Thank you!